This article demonstrates how you can search for apps, contacts, events, emails, notes, etc. on your iPad. 1. From your home screen, swipe across to the left most screen indicated by the little magnifying glass. 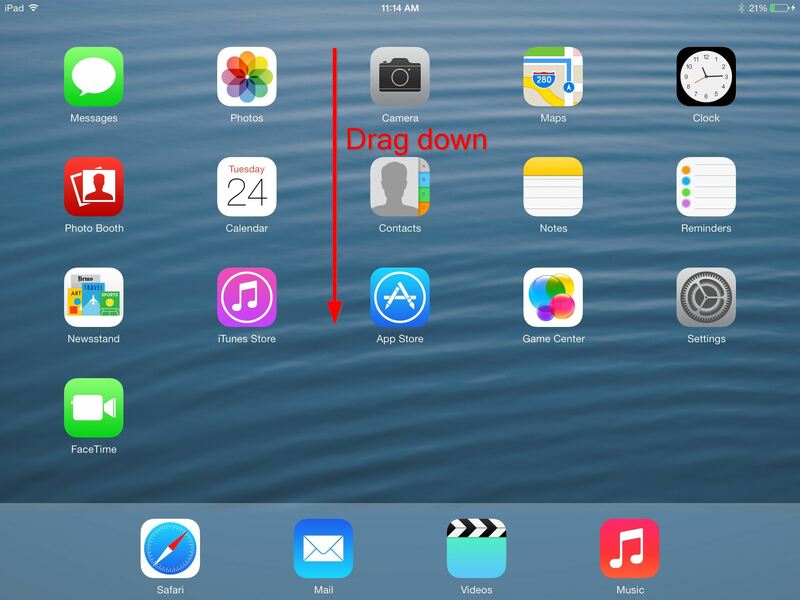 Drag downwards from anywhere on the Home screen to access the Search bar. 2. Type your search word and choose from the resulting list. Tap outside of the search box, or tap the “x” button to return to the home screen. Tapping on results will take you to their location. 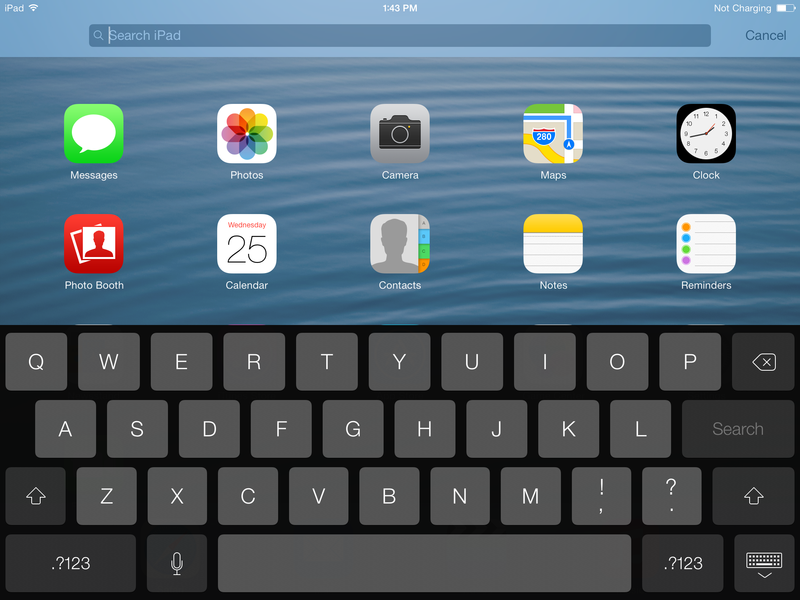 Type using the keyboard to Search the iPad.